Becoming a truck driver is not as hard to do as you might think. Having said that, it's also not as easy as you might think, lol. Despite what you might think, not just anyone can become a trucker or even qualify to become a trucker either. Don't worry, I will elaborate on that shortly. For those who do qualify for a trucking job and is compatible for the trucking lifestyle, becoming a truck driver can be a smart choice. Trucking is not for everyone. You MUST consider your specific situation and your specific needs. Getting more insight on the job helps you. Below is a video of me talking about becoming a trucker. 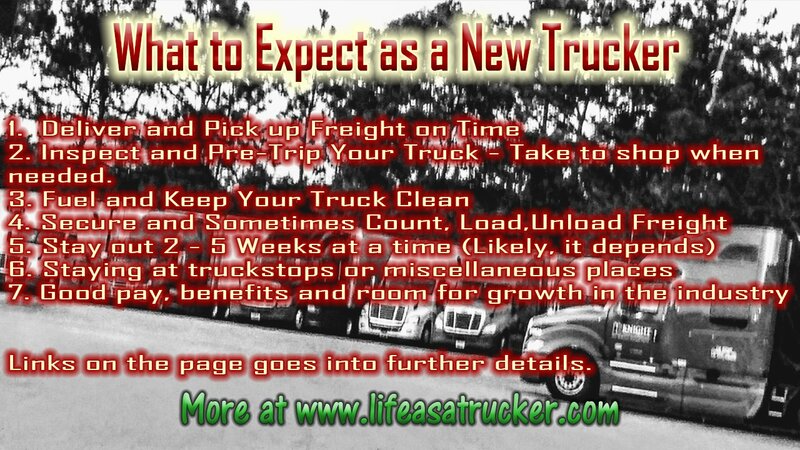 I also have CD's and DVD's about becoming a trucker because I know there are many people who don't have time to sit around online reading. Must be 21 - If you want to driver over the road, you must be 21 years old. Some states allow you to be 18 for intrastate. Have a decent record - Your driving and criminal record needs to be good for trucking companies to hire you. They don't have to be perfect but anything recent will greatly reduce your chances of getting hired. Usually no more than one serious violation and 1 felony which must be at 3 years old is the worse your record can be and feel confident that you will get hired. If you have something more recent, you need to have a an awesome resume of which includes others positive things that you have been doing that shows you are a responsible person who cares about others or are engaged in personal development activities. NOTE: You can get your CDL, and still not get hired. Be careful. Find training for CDL - There are many ways to get your CDL. Read the options for CDL training to decide which is right for your. Choose a trucking company - If you go to a free training program, you won't have to worry about this. If you get your CDL training through trucking school or community college you will be able to apply to any trucking company that hires drivers new trucking school grads, you have to choose. As a trucker you won't just be taking on a job you'll taking on a trucker's lifestyle. If you are in a relationship or are married your family will also be thrown into that trucker's lifestyle. 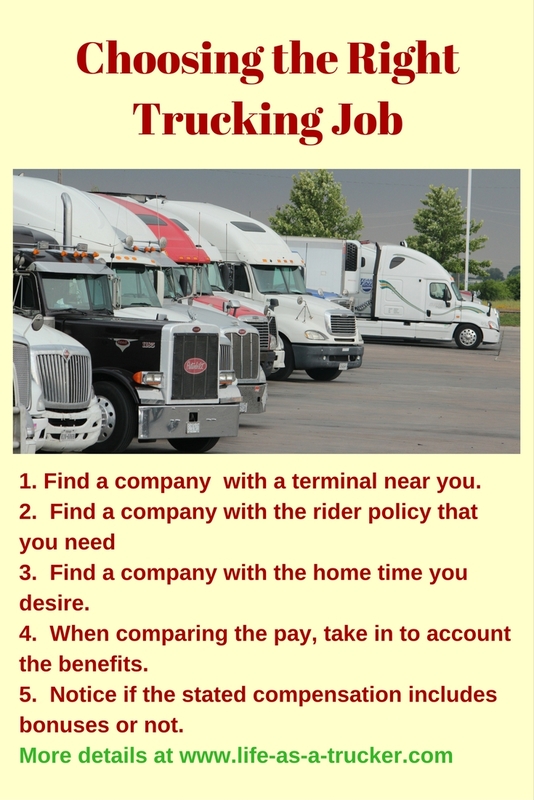 Read the advantages of becoming a trucker and disadvantages of becoming a trucker before going forward with your plans. 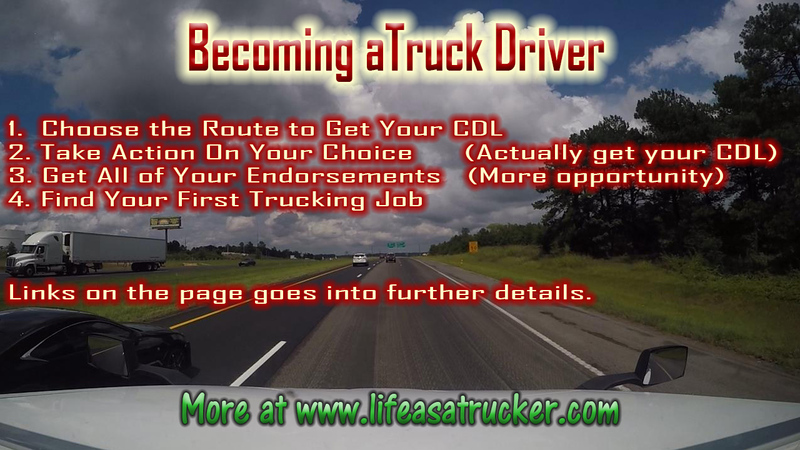 If you have made sure that you are a good candidate for trucking life, becoming a trucker can be a very rewarding career move or even a powerful stepping stone to other opportunities in the trucking industry from becoming an owner operator to hauling specialized freight to starting your own multi unit trucking company. You can find financial freedom as a truck driver if you handle your daily decision with you future desires in mind which will make will make trucking a career for you not just a job. There are many types of truck driving jobs to choose from. If you can't find one to suit you as a new driver then you will have twice as many to choose from after getting one year of experience. Sometime between your decision to drive and the point of graduating from driving school, you should have been learning about the different types of truck driving jobs. So next you want to check out some companies that fit the type of trucking job that suits your preference. To drive over the road you must be 21. To drive within most states is 18yrs old. If you have a clean driving record here are some things to read. Got a questionable criminal or driving background, can you still drive trucks? A career in the trucking industry, whether with a freight broker or third-party logistics company, takes a particular person. One who is trained in all the right areas, but has an innate toughness and tenacity about them that drives them to succeed. Tell people what you have learned about trucking. (and where you learned it! :-)! This is important even if you end up never becoming a trucker. It will educate non commercial drivers who has to share the road with us. It will help them understand how much there is to the trucking lifestyle. The general public and drivers benefit indirectly when the public has a better understanding of what the driver AND the spouse endures living a trucker's lifestyle. All this negativity has an impact on trucking families and on how we are treated by people we deal with. Most of it stemming from a subconscious area of the mind but is reflected in people's attitude, thoughts, and actions when they interact with us from driving to serving food. Plus, of course it will educate people who are thinking about jumping out here on the big road! Good Luck I wish you much success and if you need anything . . .
A career in the trucking industry, whether with a freight broker or third-party logistics company, takes a special person. One who is trained in all the right areas, but has an innate toughness and tenacity about them that drives them to success.